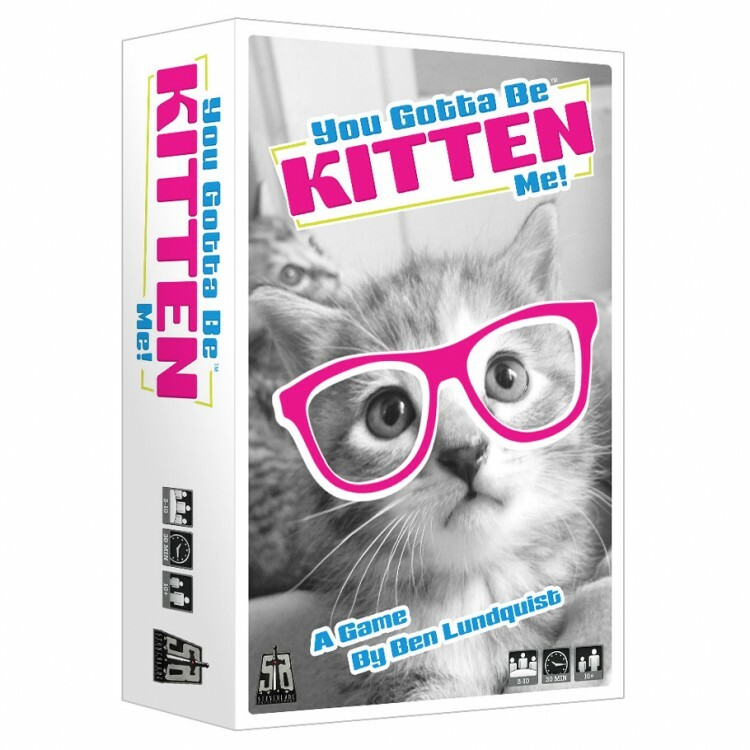 You Gotta Be Kitten Me! is a fast and fun party game that resembles a cross between Liar's Dice and Uno, featuring adorable animals with accessories! Try and guess what cards are in play as you either raise the Bid or Challenge another player. Be careful, if you're wrong, you lose a card! The last player with cards remaining wins! Bluff your way to victory in this cute, cutthroat game!